How to buy multiple sizes (not one specific size from a selection) of an item? But, I need the customer to have the ability to order 2 smalls of Shirt X AND 1 large of Shirt X at the same time. You can achieve this by making the item/product as separate items. I hope this help. Please inform us if you require further assistance. To place the quantity section on the same line, you may use a wokaround from this thread. It is based on injected CSS code. 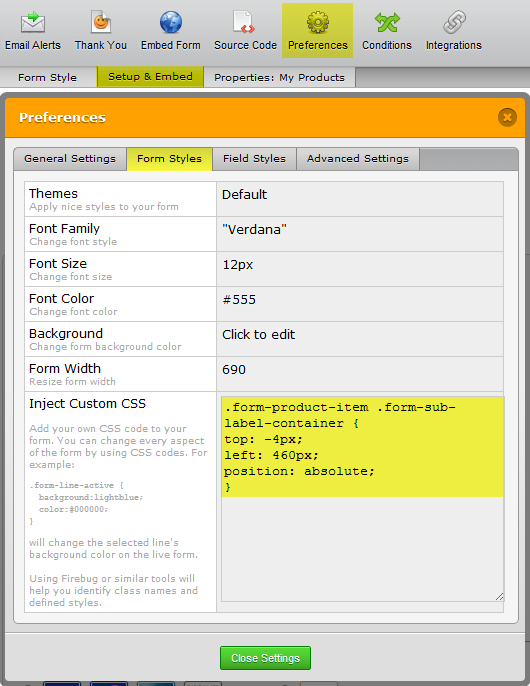 Please try to inject the following CSS to your form to see if that is acceptable workaround.